Going Vegan is the New Way Of Life: Find out why! Slaughtering animals and harming them are wrong deeds and not only affects the one who kills animals but also the one who consumes them. 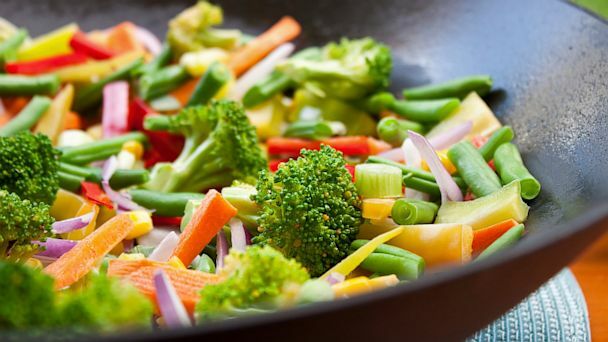 Hinduism, Jainism and Buddhism have one thing in common, these religions that are being practiced in India and across the globe for thousands of years have always believed in the benefits of vegetarianism. The concept of being Vegan has now become popular in the west as well and people from several foreign countries including U.S. are adapting to the vegetarian lifestyle adhering to the age-old belief of a pure and healthy living. Hinduism’s vast scriptures contain thousands of verses or hymns recommending vegetarianism and stating its merits. Vegetarianism is based on the ideals of ahimsa (nonviolence) and the sacredness of life. The Yajur Veda says, “You must not use your God-given body for killing God’s creatures, whether they be human, animals, or whatever.” (12.32) And Manusmriti, asks men to abstain from eating flesh. Slaughtering animals and harming them are wrong deeds and not only affects the one who kills animals but also the one who consumes them. According to the Law of Karma which is a central idea in Hinduism, causing unnecessary pain and death produces bad karma. Jain traditions respect ahimsa (non-violence), aparigraha (non-acquisition), asteya (respect for other’s rights) and satya (truth). Therefore vegetarianism is an expected practice among Jains. According to the Indiatimes.com report, Mary, a member of the foreign delegation that had come to Indore as a part of a special program organized by the International School of Jain Studies has been following Hinduism for the past 25 years. The six member delegation had attended a four-day seminar on Jainism in Indore, which was initiated at Kundakunda Gyanpeeth. The number of vegetarians is growing worldwide. According to a onegreenplanet.org report, the number of vegans in the U.S. has doubled since 2009 from 2.5 percent of the population. So, five percent of the U.S. population that is close to 16 million people are vegetarians. And half of these vegetarians are vegan which means that 7.5 million people in the U.S. now eat diets that do not include any animal products. Also, the Harris Interactive study commissioned by the Vegetarian Resource Group has stated in the report that 33 percent of Americans are eating vegan/vegetarian meals more often, though they are not vegan or vegetarian. this is a positive growing trend. Vegetables are good for health and people should cling more on veggies.